On June 22, 2016, the U.S. Environmental Protection Agency (EPA) rolled out its new Frank R. Lautenberg Chemical Safety for the 21st Century Act Frequent Questions webpage. 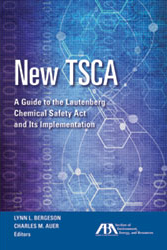 This webpage will be a resource for Toxic Substances Control Act (TSCA) reform-related updates and implementation plans. EPA has also posted a summary of key provisions, its six essential principles for reform of chemicals management legislation, the presentation from its informational webinar on June 30, 2016, in which EPA provided an overview of the new TSCA, and an unofficial version of TSCA as recently amended.